The stowaways, dubbed Majorana quasiparticles, are different from ordinary matter like electrons or quarks—the stuff that makes up the elements of the periodic table. Unlike those particles, which as far as physicists know can't be broken down into more basic pieces, Majorana quasiparticles arise from coordinated patterns of many atoms and electrons and only appear under special conditions. They are endowed with unique features that may allow them to form the backbone of one type of quantum computer, and researchers have been chasing after them for years. The same group at Delft saw hints of a Majorana in 2012, but the measured electrical effect wasn't as big as theory had predicted. Now the full effect has been observed, and it persists even when experimenters jiggle the strength of magnetic or electric fields—a robustness that provides even stronger evidence that the experiment has captured a Majorana, as predicted in careful theoretical simulations by Liu. They also predicted that a Majorana could reveal itself in the way current flows through such a nanowire. If you connect an ordinary semiconductor to a metal wire and a battery, electrons usually have some chance of hopping off the wire onto the semiconductor and some chance of being rebuffed—the details depend on the electrons and the makeup of the material. But if you instead use one of Kitaev's nanowires, something completely different happens. The electron always gets perfectly reflected back into the wire, but it's no longer an electron. It becomes what scientists call a hole—basically a spot in the metal that's missing an electron—and it carries a positive charge back in the opposite direction. Physics demands that the current across the interface be conserved, which means that two electrons must end up in the superconductor to balance out the positive charge heading in the other direction. The strange thing is that this process, which physicists call perfect Andreev reflection , happens even when electrons in the metal receive no push toward the boundary—that is, even when they aren't hooked up to a battery of sorts. 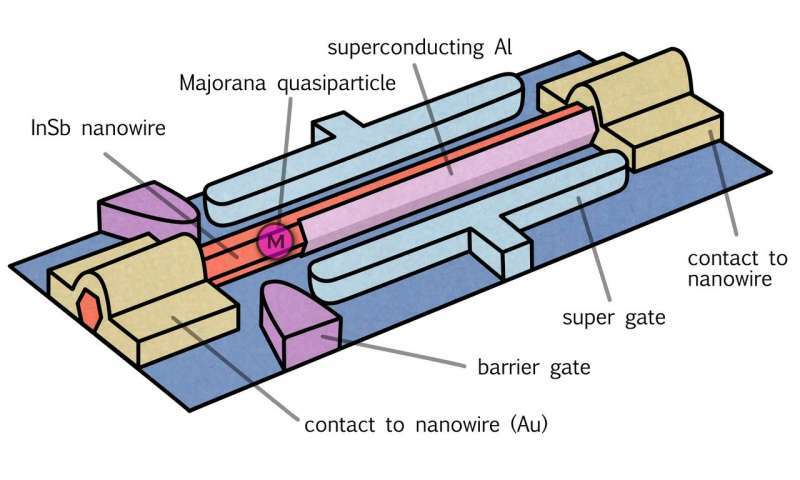 This is related to the fact that a Majorana is its own antiparticle, meaning that it doesn't cost any energy to create a pair of Majoranas in the nanowire. 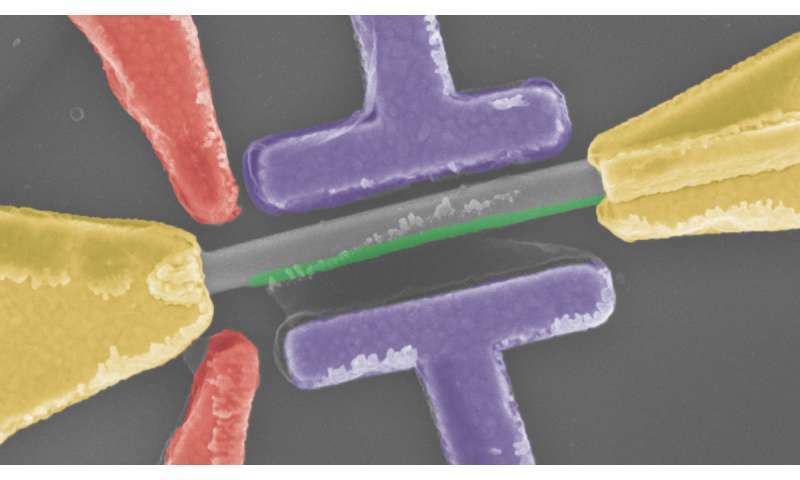 The Majorana arrangement gives the two electrons some extra room to maneuver and allows them to traverse the nanowire as a quantized pair—that is, exactly two at a time.